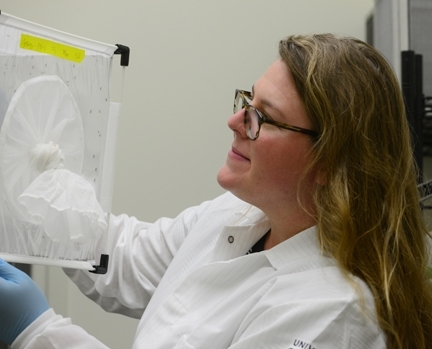 Have you ever wondered what it's like to be a UC Davis doctoral student researching mosquitoes? Meet Olivia Winokur, an enthusiastic, dedicated and multi-talented medical entomologist whose childhood curiosity about a yellow fever vaccination sparked her interest in 'skeeters. Noted medical entomologist William Hazeltine II (1926-1994) made a difference. Today he continues to make a difference through his legacy--supporting mosquito research of UC Davis graduate students. 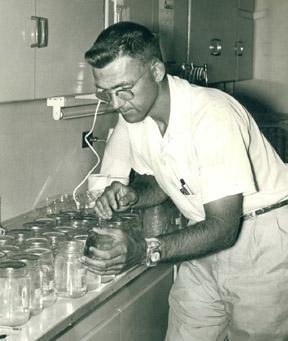 Hazeltine, a U.S. Navy veteran who studied entomology in the UC Berkeley graduate program, 1950-53, and received his doctorate in entomology from Purdue University in 1962, managed the Lake County Mosquito Abatement District from 1961-64 and the Butte County Mosquito Abatement District from 1966-1992. He was an ardent supporter of the judicious use of public health pesticides to protect public health. He continued work on related projects until his death in 1994. His legacy lives on through his family's establishment of the Bill Hazeltine Student Research Awards to UC Davis graduate student researchers. Since 1997, the awards have totaled a little over $46,000 to 25 recipients. Sandy Olkowski, Stephanie Kurniawan and Maribel "Mimi" Portilla, graduate students in the Department of Entomology and Nematology, received the coveted awards in both 2015 and 2016. The three recently lunched at a Davis restaurant with Hazeltine's sons, Craig of Scottsdale, Ariz.,and Lee Hazeltine of Woodland. 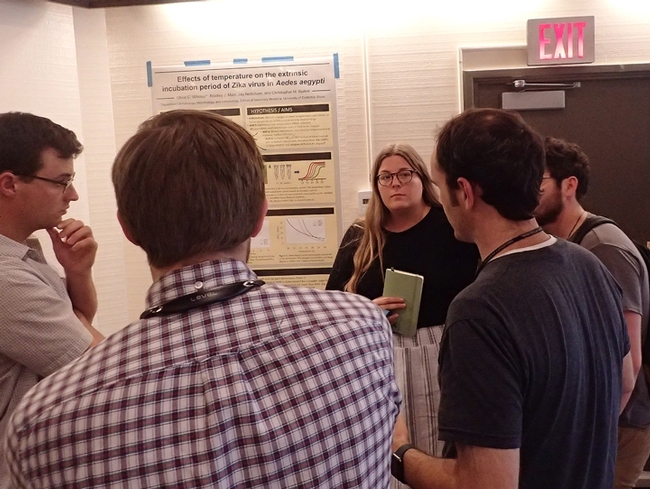 The graduate students discussed their research and goals and thanked them for the Hazeltine family's support. Sandy Olkowski is working on her doctorate in entomology, studying with major professor Thomas Scott, now emeritus professor of entomology. Kurniawan went on to receive her bachelor's degree in animal biology with a minor in medical and veterinary entomology at UC Davis. Maribel "Mimi" Portilla, who holds a master's degree in public health, is seeking her doctorate. She studies with major professor Sharon Lawler. "Just like many scientists, I am driven by curiosity, but often found myself wondering how I could apply myself in a way that would help others," she said. "I discovered public health, which incorporated my love for biology and my growing interest in social issues. At UC Berkeley School of Public Health, I was able to study health and disease within a larger context, and learned to consider the biological and the social determinants of disease. As I completed my degree, I realized I really missed the research experiences I had as an undergraduate. So, I looked for a way to bridge my new-found passion for public health and basic science research. This led me to UC Davis, where I learned about One Health and am now pursuing a Ph.D in medical entomology. Medical entomology is a perfect example of a One Health field, where I can seek out how interactions between humans and animals impact health. I am particularly interested in researching how disease risk may change as people manipulate the environment." "For example, environmental manipulation is a classic pest control technique, yet the indirect effects of changing the environment are not always well understood," Portilla said. "I am focusing on how the management practices of the invasive exotic weeds, Brazilian waterweed (Egeria densa) and water hyacinth (Eichhornia crassipes), in the Sacramento-San Joaquin Delta impact mosquitoes and their habitat. My goal is to better understand the ecology of these management practices in order to inform and create better techniques to reduce both mosquito and weed problems." "Due to my diverse interests and skill set, I am very open about my career choices. I have extensive teaching experience, and would love to be a professor with both teaching and research opportunities. However, there are many opportunities beyond academia. My research is introducing me to many other ways in which my work and research can help keep people safe and healthy. I hope to develop a strong research skill set while at UC Davis, and find a career path which takes advantage of my diverse abilities and love for One Health and Public Health." We all know that graduate students scramble for funds to complete their research and education. Sometimes they have little or no funds. What a wonderful project the Hazeltine family sponsors! 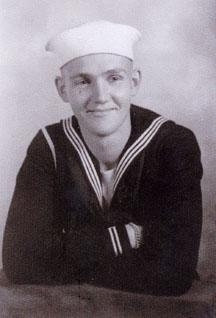 William Hazeltine II, born Sept. 4, 1926 in San Jose, was the youngest of six children born to Karl Snyder Hazeltine and Rachel Josephine Crawford Hazeltine. Karl, a graduate of the University of California, served on the faculty of San Jose State University, where he taught agricultural and natural science. Rachel, a graduate of San Jose State, was a teacher. He lives and breathes mosquitoes. He's a medical entomologist through and through. So when UC Davis medical entomologist and emeritus professor William "Bill" Reisen, internationally known for his mosquito research and public service, received the Meritorious Service Award from the American Mosquito Control Association (AMCA) at the 2016 annual meeting in Savannah, Ga., it was an honor so very well deserved. Reisen accepted the plaque from AMCA President Kenneth Linthicum. director of the Center for Medical, Agricultural and Veterinary Entomology, USDA-Agricultural Research Service. The plaque is inscribed with: “In recognition of outstanding service to the AMCA and for contributions to the science of mosquito ecology and bionomics and to the epidemiology and control of arboviruses." 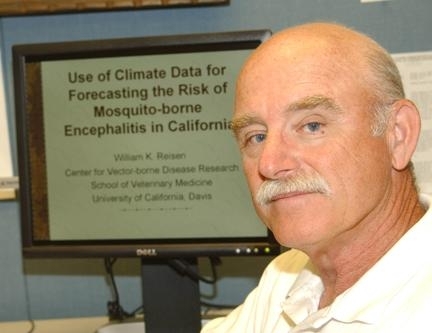 Working closely with the Mosquito and Vector Control Association of California and the California Department of Public Health, Reisen was instrumental in molding the California arbovirus surveillance diagnostics, data management and reporting statewide into an effective decision support system for intervention. Reisen, retired from UC Davis in 2014 from some of his responsibilities, but he's the kind of person who will probably never retire, and that's a good thing for us and a bad thing for the mosquitoes. Reisen is a professor emeritus with the Department of Pathology, Microbiology and Immunology (PMI), School of Veterinary Medicine, and a former director of the Center for Vectorborne Diseases. He continues to serve as editor-in-chief of the Journal of Medical Entomology, published by Entomological Society of America. He has served as a graduate student advisor for the UC Davis Department of Entomology and Nematology as well as the Epidemiology Graduate Group. Reisen earlier received the 2015 Meritorious Service Award from the Mosquito and Vector Control Association of California (MVCAC). He has published more than 300 peer-reviewed publications and book chapters in the field of medical entomology. A native of New Jersey, Reisen holds a doctorate in zoology (1974) from the University of Oklahoma, Norman, with a focus on medical microbiology and ecology. 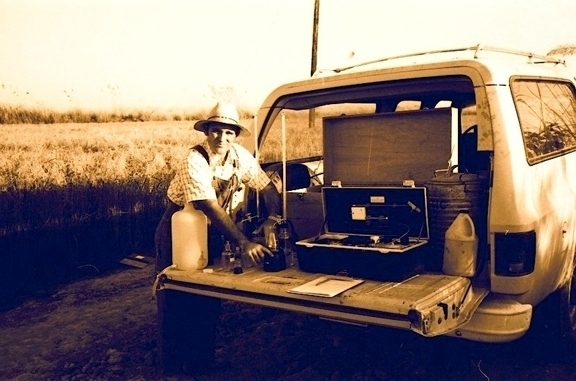 Throughout his career, Reisen directed collaborative projects ranging from field evaluations of genetically modified mosquitoes to aerial applications of insecticides, the vector competence of mosquitoes for endemic and newly introduced viruses, established new molecular surveillance testing paradigms for arboviruses, and initiated interactive networks for sharing surveillance data with mosquito control agencies and public health officials to speed mosquito control response times and to minimize disease risk to humans, according to Craig Downs, general manager of the Contra Costa MVCAC District. His colleagues can attest to his work. Said Downs: “Several examples of his continual scientific contributions include: the effects of climate variation on arthropod-borne pathogen transmission, modeling efforts for predicting arbovirus risk, the application of insecticides for reducing the disease burden of West Nile virus in California, the use of liquid suspension array technologies for the identification of mosquito blood meals and his keen observation of the role of stagnant swimming pools as breeding sites for Culex spp. vectors in Kern County." 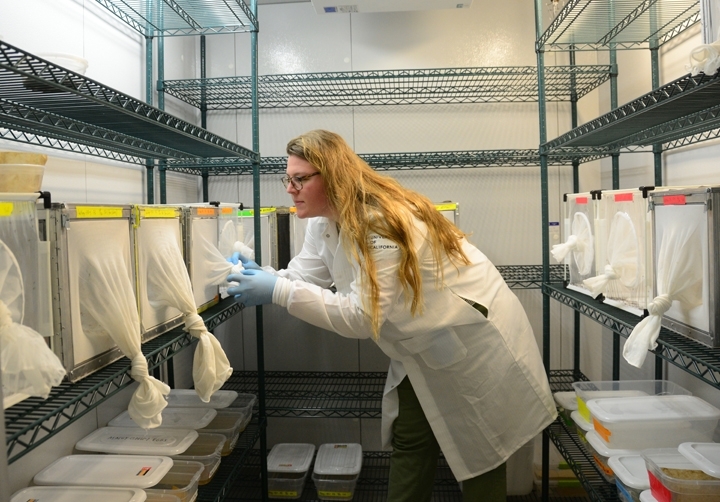 Reisen's medical entomology career includes the U.S. Air Force, University of Maryland School of Medicine, UC Berkeley School of Public Health and the Center for Vectorborne Diseases at UC Davis School of Veterinary Medicine. He directed the Arbovirus Field Station in Bakersfield from 1980-2013 and the Center for Vectorborne Diseases, based at UC Davis, from 2009 to 2014. 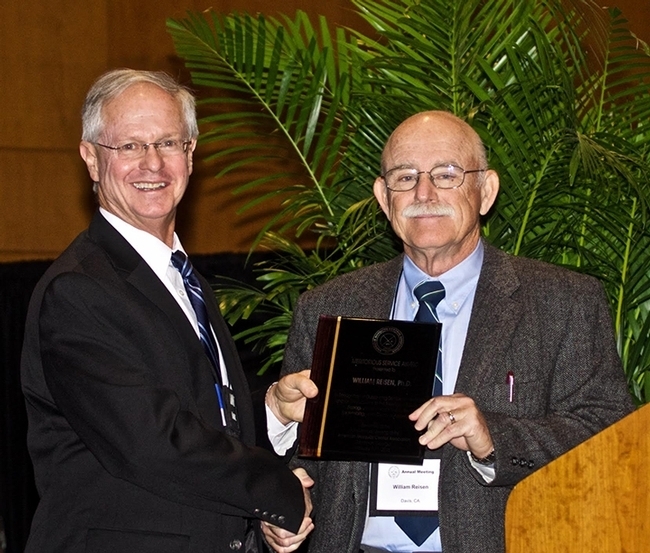 In recognition of his contributions to research, service and graduate training, Reisen was awarded Lifetime Award for Achievement in Medical Entomology and the Distinguished Service Award by the Society for Vector Ecology; Fellow, Entomological Society of America; Academic Federation Award for Excellence in Research, University of California, Davis; John N. Belkin Award for Excellence in Vector Ecology, American Mosquito Control Association; and the Harry Hoogstraal Medal, American Society of Tropical Medicine and Hygiene. Yes, Bill Reisen has greatly improved disease prevention programs and the lives of many people, far and wide, and too many to mention. Outstanding service. Outstanding contributions. Outstanding mentor. How Far North Will This Mosquito Species Go in California? It's all over the news...the Aedes aeypti, the daytime-biting mosquito that predominantly feeds on humans. The species has spread to at least seven counties in California since June 2013, says UC Davis medical entomologist Anthony Cornel of the UC Kearney Agricultural Research and Extension Center, Parlier, and the UC Davis Department of Entomology. 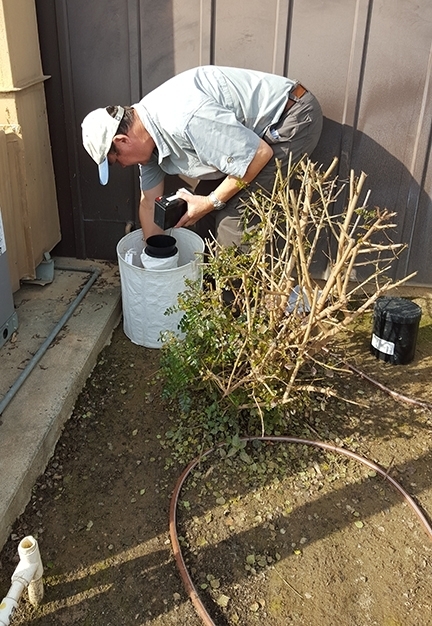 “It's an issue of great concern, especially as current control methods do not appear to be working well," says Cornel, who collaborates on research projects in Clovis, Fresno County, with the Consolidated Mosquito Abatement District. The district, based in Fresno, covers 1,058 square miles, including part of Kings County. As far north as Sacramento? Infected Aedes aegypti can transmit dengue, yellow fever, Zika and chikungunya viruses. The Zika virus was first identified in Uganda in 1947 in rhesus monkeys, according to the World Health Organization. It was subsequently identified in humans in 1952 in Uganda and the United Republic of Tanzania. Outbreaks of Zika virus disease have been recorded in Africa, the Americas, Asia and the Pacific. 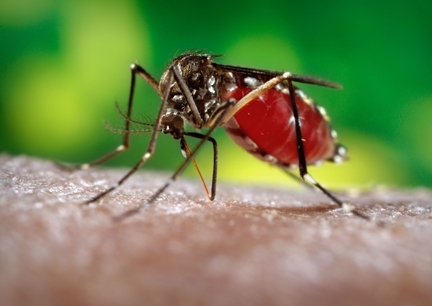 Although the mosquito species is in California, it's important to point out that there are no reported cases of locally transmitted Zika virus in the state or in contiguous United States, according to the Centers for Disease Control and Prevention. The cases have all involved travelers returning home from countries plagued with disease outbreaks. Cornel and his colleagues published a 27-slide document, “Surveillance and Control of Aedes aegypti Mosquito in Clovis, Calif.,” on Feb. 8 in F1000 Research, http://f1000research.com/slides/5-149. They called attention to the widespread invasion and establishment of the species in California. The research, illustrated with maps, is the work of Cornel and Yoosook Lee of UC Davis; Stephen Dobson of the University of Kentucky; Corey Bansfield of MosqMate Inc. and Jodi Holeman, Mark Amireno, Charles Smith and Stephen Mulligan III of the Consolidated Mosquito Control District. The researchers target mosquito breeding sites, primarily yard drains. “Despite the drought and the elimination of visible bodies of water, such as bird baths, pet bowls and flower pots, there's a major issue: yard drains,” Cornel says. “Yard drains installed in new home developments empty into the gutter or street and are cryptic breeding sites for mosquitoes.” He speculates that these mosquitoes are breeding underground. It's possible—but he hopes not—that what is now a “mosquito nuisance” will result in a disease outbreak. Medical entomologist Anthony “Anton” Cornel knows his mosquitoes--and a few snakes, too. 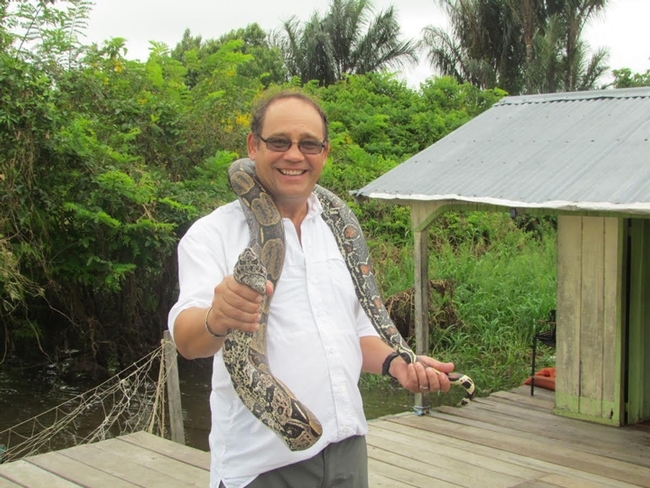 When he was doing research in Brazil in September, he draped a snake around his neck and posed for the camera. His favorite research subjects, though, are mosquitoes. The yellow fever mosquito, Aedes aegypti, found throughout the tropics and subtropics and a newly invasive species in central California. The West Nile virus mosquito, Culex quinquefasciatus, found throughout much of the world. 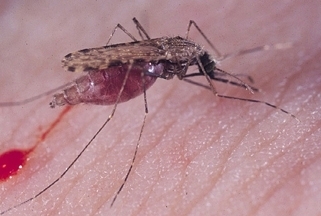 The malaria mosquito, Anopheles gambiae, which wreaks worldwide havoc. Cornel's name appeared in the news this week when the UC Davis lab of Walter Leal announced that it had found the odorant receptor that repels DEET in the southern house mosquito, Culex quinquefasciatus mosquito. 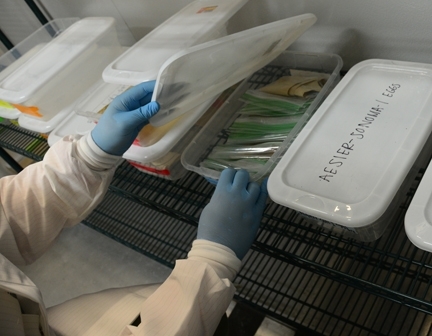 Cornel provided the mosquitoes that allowed the Leal lab to duplicate his colony. Proceedings of the National Academy of Sciences (PNAS) published the work Oct. 27. Cornel, based at the UC Kearney Agriculture and Research Center, Parlier, and an associate professor in the UC Davis Department of Entomology and Nematology faculty, has studied mosquitoes for more than two decades. He collects, rears and researches mosquitoes from all over the world, including the United States, Mali, Cameroon, Comoros, Tanzania, South Africa and Brazil. Cornel's main research keys in on the population genetics and ecology of West Nile virus vectors in the United States and population genetics and ecology of major malaria vectors in Africa. 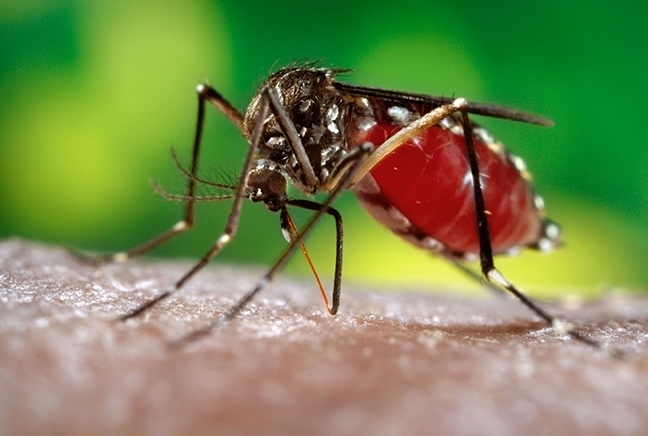 However, the mosquito that's alarming residents of central California is the yellow fever mosquito, Aedes aegypti. 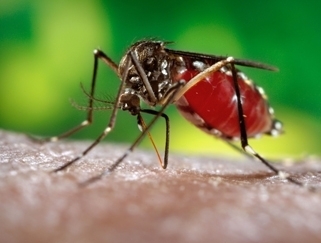 Infected mosquitoes can transmit dengue, chikungunya and yellow fever viruses and other diseases. A native of South Africa, Cornel received his doctorate in entomology, focusing on mosquito systematics, in 1993 from the University of the Witwatersrand, Johannesburg. He completed a post-doctoral fellowship with the Entomology Branch of the Centers for Disease Control and Prevention (CDC), Atlanta, before joining UC Davis in 1997 as an assistant professor and researcher. 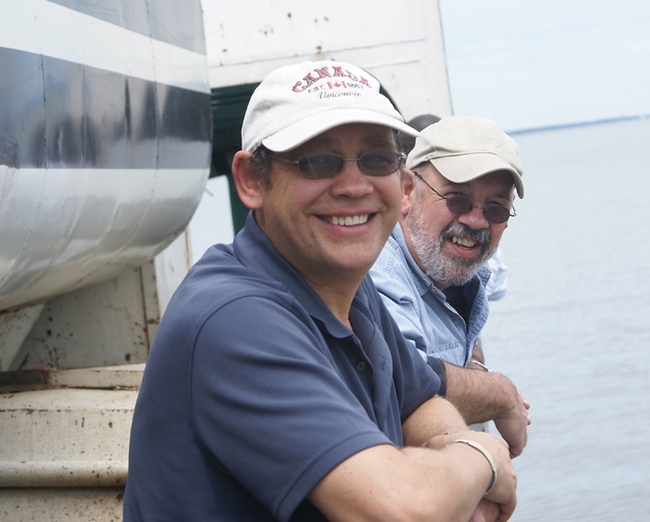 For more than two decades, Cornel has teamed with fellow medical entomologist and “blood brother” Professor Gregory Lanzaro of the UC Davis School of Veterinary Medicine to study malaria mosquitoes in the West African country of Mali. Their work is starting to show significant results. 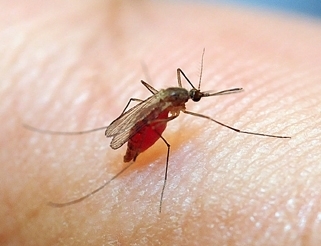 Cornel also teams with Lanzaro and Professor Heather Ferguson of the University of Glasgow to examine the ecology and associated genetics of the major malaria vector Anopheles arabiensis in Tanzania. They began working on the project four years ago. One of his newest projects is the study of population/genetics, insecticide resistance and cytogenetics in the major malaria vector in Brazil. 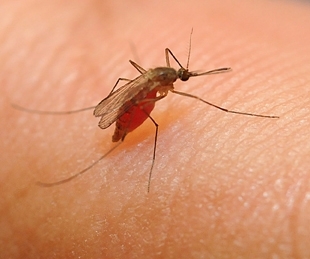 Cornel and Lanzaro launched their study in September when they traveled to Brazil to begin targeting the culprit, Anopheles darlingi, a “widely distributed species that has adapted to survive in multiple ecological zones and we suspect that it may consist of multiple incipient or closely related species,” Cornel said. Cornel and Lanzaro collaborate with Professor Paulo Pimenta of the Laboratory of Medical Entomology, René Rachou Research Centre- FIOCRUZ, Belo Horizonte, Minas Gerais, Brazil. 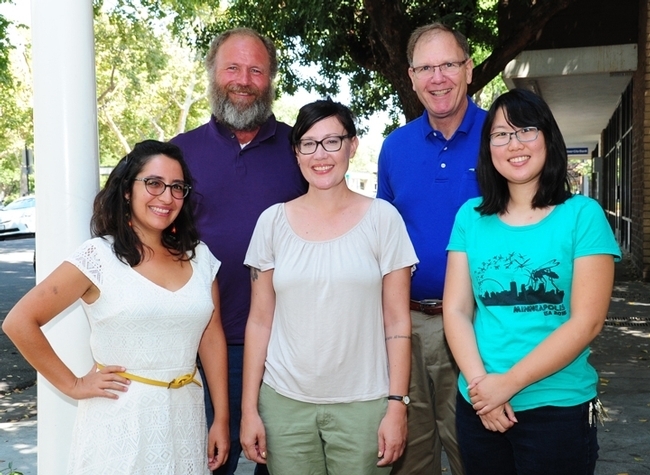 The UC Davis medical entomologists hope to produce good preliminary data from their research trip to write grants and establish a long-term project in Brazil. Cornel also studies avian malaria. That interest sparked four years ago when he began working in Cameroon with scientists from UCLA and San Francisco State University (SFSU), including SFSU's Ravinger Sehgal, who studies avian blood parasites. 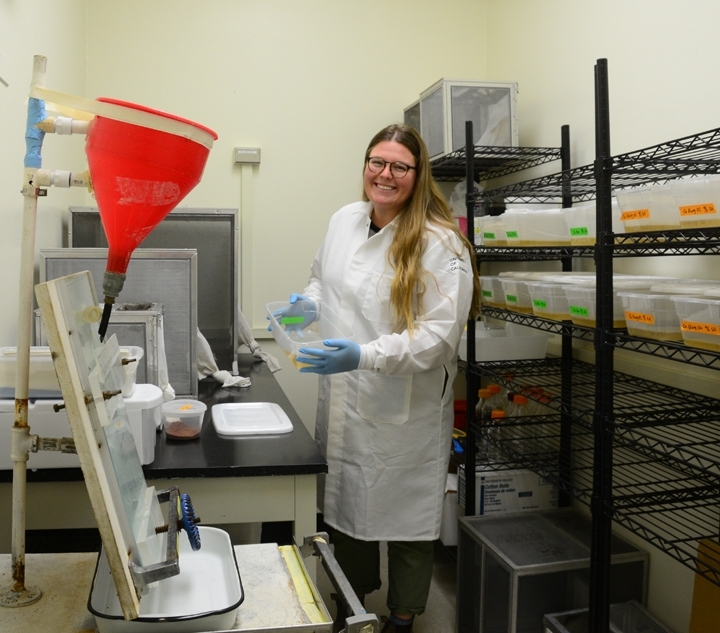 Cornel's graduate student Jenny Carlson, in her final year of her Ph.D studies at UC Davis, is investigating avian malaria in Fresno County. Also new on the horizon: Cornel will be starting a new mosquito-borne virus project in February. He received a Carnegie Foundation scholarly three-month fellowship to work in South Africa (February through to April). The primary objective of the project? To examine mosquito-borne viruses cycling in seven national parks in South Africa and two National Parks in Bostwana. Cornel is active in the 30- member Center for Vectorborne Diseases (CVEC), headquartered in the UC Davis School of Veterinary Medicine and considered the most comprehensive vectorborne disease program in California. Both interdisciplinary and global, CVEC encompasses biological, medical, veterinary and social sciences. Medical entomologist Anthony Cornel with a snake in Brazil. UC Davis medical entomologists Anthony Cornel (foreground) and Gregory Lanzaro make annual trips to Mali to study malaria mosquitoes.